The third of a post-election three-part series on civil liberties in the UK examines the government’s new proposals to tackle extremism. From 1 July, a broad range of public bodies – from nursery schools to optometrists – will be legally obliged to participate in the government’s Prevent policy to identify would-be extremists. Under the fast-tracked Counter-Terrorism and Security Act 2015, schools, universities and health service providers can no longer opt out of monitoring students and patients for supposed radicalised behaviour. Never in peacetime Britain has national security surveillance been so deeply embedded in the normal functioning of public life. Even as those measures come into effect, the government is drafting another round of counter-terrorist legislation, reviving a set of still more authoritarian proposals first floated last year. These would enable the home secretary to ban groups deemed to be extremist. 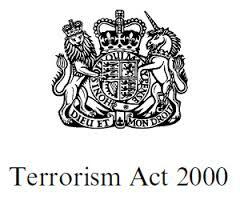 Under the Terrorism Act (2000), the government has had the power to proscribe an organisation as a terrorist group, making membership, or even indirect forms of support, a criminal offence. What the new proposal amounts to is a widening of the same criminal offence to include not just terrorist organisations but extremist organisations that are not involved in violence but have a political agenda considered unacceptable. These would give the police ASBO-like powers to stop individuals engaging in ‘extremist’ behaviour. Extremism disruption orders are likely to widen existing powers such as the Terrorism Prevention and Investigation Measures (TPIMs), which were introduced in 2012 to replace control orders. TPIMs enable restrictions on the movements and living arrangements of terrorist suspects, even when they have not been convicted of a crime. The new extremism disruption orders will give the home secretary the power to issue similar restrictions to suspected extremists – a wider and vaguer category of persons than terrorist suspects or those who incite racial or religious hatred. These give the police and local authorities powers to close down premises associated with alleged extremism. They are likely to be used to shut down mosques accused of allowing extremists to join a congregation. These will allow employers to check whether an individual is an alleged extremist and bar them from working with children. These will enable Ofcom to censor radio and television channels that are accused of broadcasting extremist content. Theresa May was critical of a Newsnight interview with radical activist Anjem Choudary following the murder of Lee Rigby in Woolwich in 2013. The new proposals represent a significant shift in strategy from legislating against terrorism to ‘extremism’ – the ideology the government believes causes terrorism. 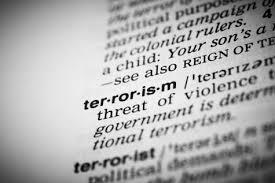 ‘Terrorism’ is itself a contested term but one that at least retains a link to acts of political violence. ‘Extremism’ is an even more nebulous word that gives ‘an appearance of solidity to pure wind’ – as George Orwell noted of political language designed to deceive. Disrupting extremism is, in plainer language, censorship of religious and political opinions the government finds unacceptable. Ironically, this is being done in the name of defending ‘British’ values of individual freedom. Speech that directly causes violence is already a criminal offence under the offence of incitement. Since 2006, glorification of terrorism has also been a crime. What is now being proposed is a much lower threshold than the existing laws, criminalising a broader category of ideological speech with no immediate connection to terrorism at all. The combined effect of the new powers is to further embed the concept of extremism in law, a process first begun with the 2015 Act. From its introduction in 2006, counter-extremism policy did not rest on a statutory basis. Prevent spread across local and central government under informal pressure rather than through the weight of law. Now ‘extremism’ is being legally codified for the first time. Theresa May says that the test for whether actions or words will count as extremism and contravene the new powers is whether they undermine ‘British values’, which she defines as the rule of law, democracy, equality, free speech and respect for minorities. There is a clear link, she says, between ‘non-violent extremism’ – the active rejection of British values – and violent extremism. In effect, she has said that anyone who forcefully rejects British values is fostering terrorism; their opinions are not just disagreeable but dangerous and need to be suppressed. There is of course no compelling social scientific evidence of a correlation between rejecting British values and the likelihood of becoming a terrorist. If ‘extremism’ is used to refer to the rejection of liberal values, then it would be hard to substantiate the term’s systematic association with terrorism: many people in British society from all class backgrounds and communities hold opinions that are anti-democratic or illiberal and there is little reason to think such views have any connection to terrorist violence. Like the concept of radicalisation, the notion of extremism selectively blurs the distinctions between identity, belief and violence. 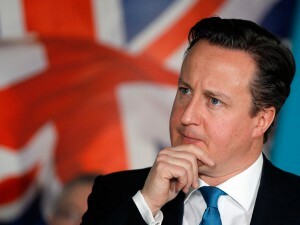 But, for over a decade, Labour and Coalition ministers have popularised a false narrative that links terrorism to rejection of Britishness – witness David Cameron’s ‘muscular liberalism’ speech to the Munich Security Conference in 2011. Think-tanks such as the Quilliam Foundation and Policy Exchange have helped turn this narrative into a new ‘common sense’. The government’s new Extremism Analysis Unit already has the job of drawing up lists of extremists and extremist organisations for possible sanction. Such information will be used in implementing the new powers as well as to inform decision making on matters such as visa applications. One indication of who will be affected by the policy comes from a 2008 speech by Charles Moore, then chairman of the Policy Exchange thinktank, a major architect of the current counter-extremism strategy. He argued the government should maintain a list of Muslim organisations which, while not actually inciting violence, nevertheless express extremist attitudes – in this category would fall any groups with links to the Muslim Brotherhood or the Jamaati-e-Islami. The first wholly Conservative government since 9/11 now appears to be implementing this proposal. Some individuals on the far Right will also likely be targeted, as well as far-Left activists, and perhaps also environmentalists and animal rights activists. The radical political group Hizb ut-Tahrir may find itself banned for its rejection of the British democratic process. Most worrying is the possibility that the powers end up being used to criminalise Muslims for expressing radical opposition to British government policy. Muslims expressing strong opinions about the British military presence in Afghanistan, for example, are no longer seen as participating in a British tradition of dissent but as extremists who are on a conveyor belt to terrorism, enemies in what David Cameron has called a ‘generational struggle’ against extremist ideology. A better account of the causes of terrorism would acknowledge that radical religious ideology does not correlate well with incidents of terrorist violence and that terrorism cannot be understood without understanding the interaction between state and non-state actors. Rather than seeking to criminalise or restrict extremist opinions, a better approach is to focus on individuals who can be reasonably suspected of intending to engage in a terrorist plot, finance terrorism or incite it. The best way of preventing terrorist violence is to widen the range of opinions that can be freely expressed, not restrict it.